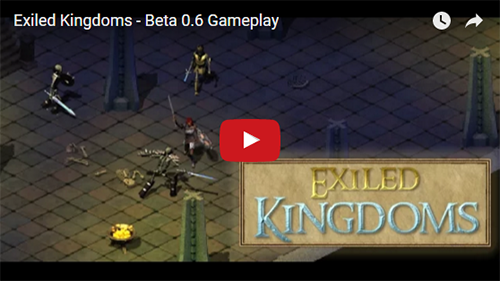 Exiled Kingdoms is a single-player action RPG for Android devices (and soon for iphone/ipad/mac/PC as well). - Real Time combat. The game isn't turn-based. You got to swing at things and actually hit them to kill them. You control a single character, although you may have companions following you. - Isometric perspective. Graphics are 3D pre-rendered. This is a similar technique than the one used in games like Diablo, Baldur's Gate or Icewind's Dale. And yeah, those games from the Golden Age have been a great inspiration for me during development. - The Public Beta was released on Android Play Store on December 20th, 2015. - The game is available in both english and spanish languages. You may just switch languages from the Settings menu.